Typhoon Neoguri weakened as it moved north into the East China Sea, skirting Japan’s Okinawa Prefecture, grounding flights and forcing some residents to flee for emergency shelters. 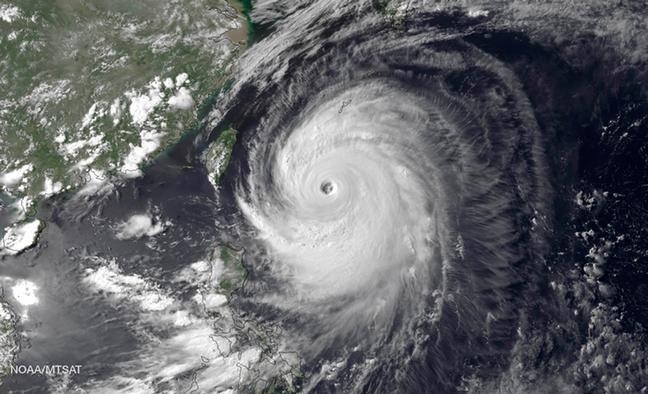 Neoguri’s top winds dropped to 195 kilometers (121 miles) per hour, down from 204 kph earlier, the U.S. Navy’s Joint Typhoon Warning Center said in an advisory at 11 a.m. New York time. The storm was about 700 kilometers southwest of Sasebo, Japan, on track to Kyushu Island. This entry was posted in dive Palau, Diving, Jim Caldwell, palau islands, Travel and tagged jim caldwell redondo beach, Palau typhoon, Typhoon Japan 2014, Typhoon Japan July 2014, Typhoon Neoguri, Typhoon Okinawa. Bookmark the permalink.